A top performing plasma resistant perfluoroelastomer. Perlast® G65HP has a unique organic formulation developed specifically for critical semiconductor processes where the seals are in direct contact with plasma. 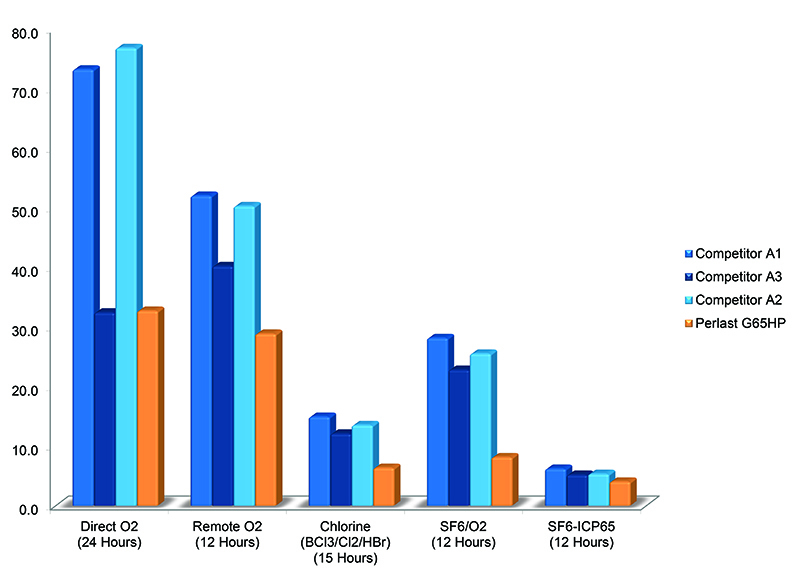 This new material grade provides excellent plasma resistance in high concentration radical fluorine plasma, as well as other plasma chemistries. Graph above: Test results consistently show Perlast® G65HP is the top performing plasma-resistant material.